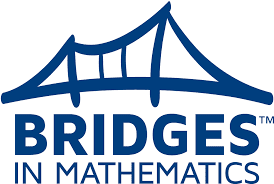 The Bridges Math curriculum focuses on developing in students a deep understanding of math concepts, proficiency with key skills, and the ability to solve new and complex problems. Learning activities tap into the intelligence and strengths all students have by presenting mathematically powerful material alive with language, pictures, and movement. Students in a Bridges classroom talk about math, describe observations, explain methods, and ask questions. They are encouraged to find multiple ways to solve problems and show different ways of thinking. This is a vital way to help students build more flexible and efficient ways to solve increasingly complex problems. Hands-on activities engage them in exploring, developing, testing, discussing, and applying mathematical concepts. recommended by the Bridges Math Curriculum!